We are a relative newcomer to the wound care market. 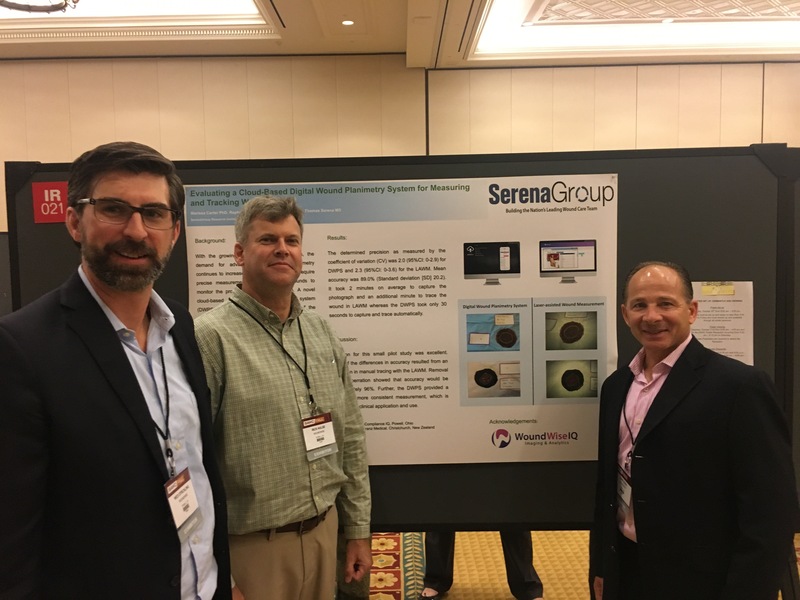 My team and I recently attended and exhibited at the fall Symposium on Advanced Wound Care (SAWC). We have new imaging and analytics technology that can quickly and easily capture not only the photo of a chronic wound, but also automatically capture data and wound characteristics! There was so much excitement that I wanted to share our team’s observations with you! We had a poster accepted for the conference this year – which was a real honor – and as a result participated in an evening poster event where attendees could walk around and look at the posters and ask questions as you stood by your study results. Most of the attendees who came by our poster and our booth were nurses and physicians, many with significant experience. They were very interested in our technology and wanted to see a demo and how the product works. We felt their excitement, and that made us excited too! This tells me that well-designed technology will be welcomed by people who use it. Like with all technology users, physicians and nurses want the product, and especially the user interface, to be friendly and easy to use. Building something that is accurate but difficult to use and cumbersome to operate, will not succeed in the market. WoundWiseIQ provides more accurate measurements. However, technology products, even if they do improve accuracy, also must improve productivity and work flow. The bottom line is this: Better data and better tools can lead to better decisions to heal wounds faster. We as leaders in the healthcare field have a challenge in bringing new products to life to help 7 million people in the U.S. who are dealing with chronic wounds. SAWC symposiums serve as a forum to help us connect experts who want to use those technologies – physicians, nurses, physical therapists, researchers, and podiatrists – to improve patient outcomes. Our WoundWiseIQ team is excited to be part of the industry and contributing to solving the chronic would challenge. Quotes from Dr. Serena are from his live abstract presentation at SAWC Fall 2017.